Let’s face it: we all receive a huge number of emails every day. How many of your emails do you actually open, or even click? Probably not that many. It’s not just you. Consumers from around the world do the same and reaching them is harder than ever. 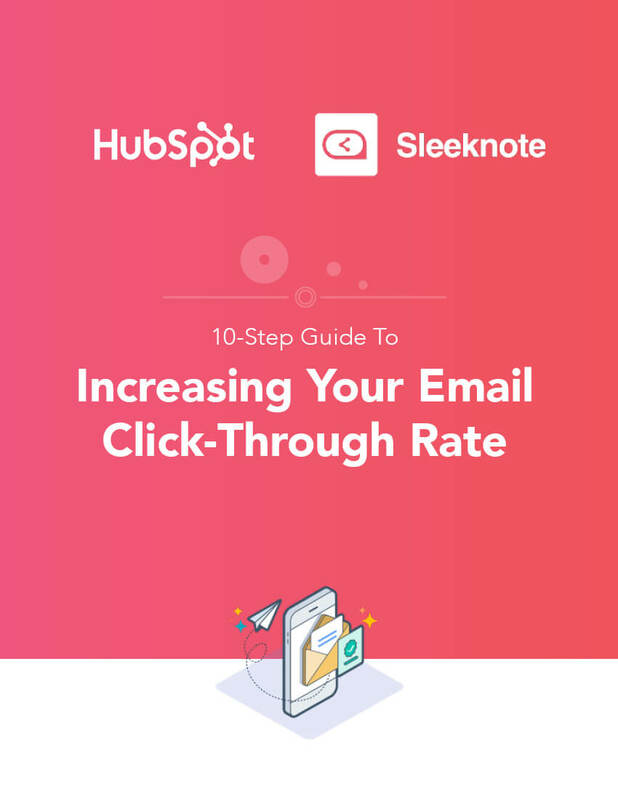 Across industries, the average click-through rate is about 3.5%. However, all is not lost! 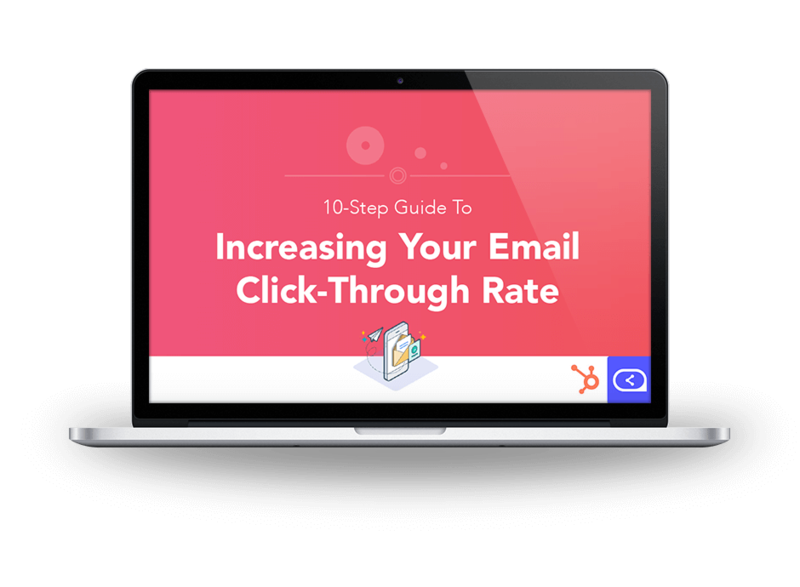 There are many things you can do to increase your click-through rate. 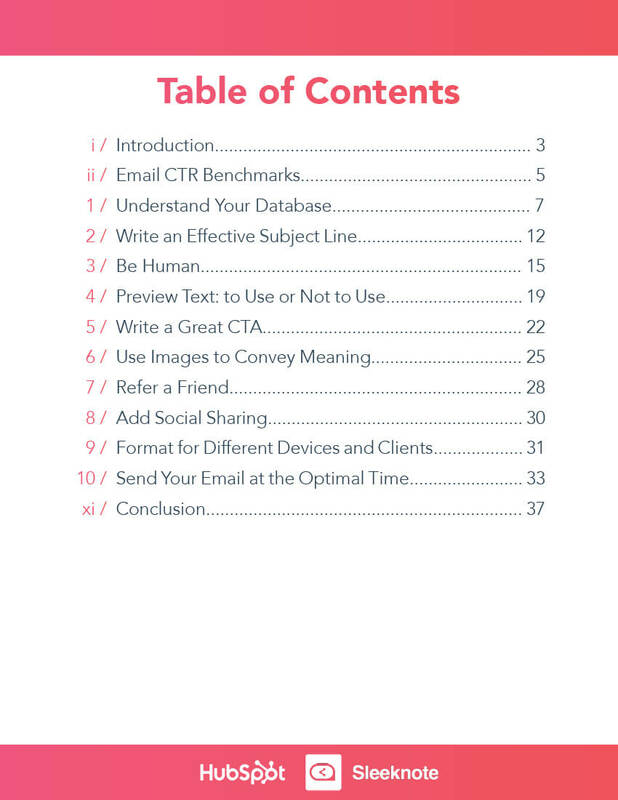 That’s why HubSpot and Sleeknote have teamed up to create this ebook. 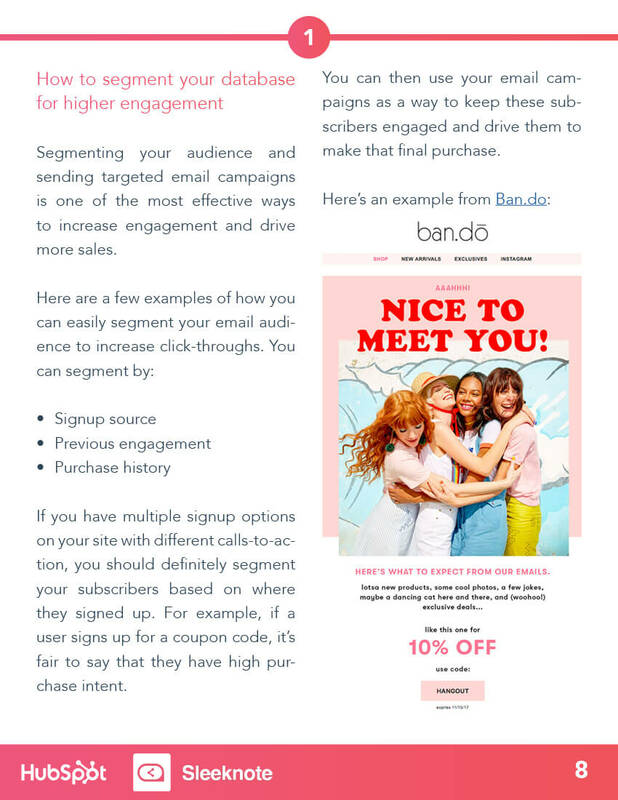 Inside this 10-step guide, you’ll learn how to segment your database to increase conversions, insert the right media into your emails, create custom calls-to-action (CTAs), and more. Ready to get started? 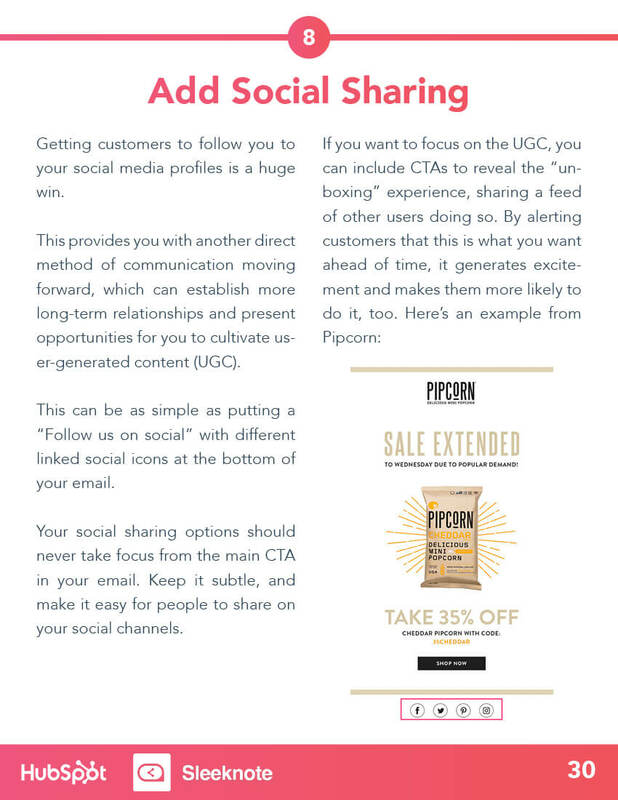 Download your guide now.